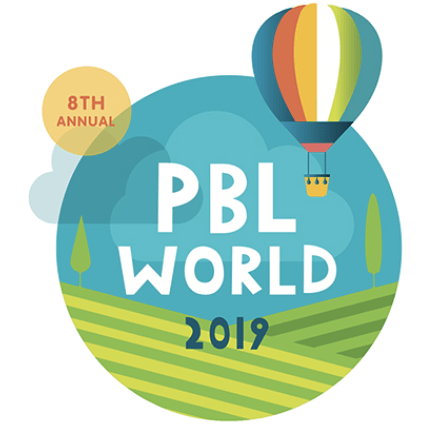 As president of Connections Education, I know first-hand how place-based education (PBE) can unlock incredibly valuable and very personalized learning. At the online schools we support, students learn virtually, outside of a typical brick-and-mortar classroom, and they have the flexibility and freedom to learn wherever and whenever it works best for them. Over the years, we’ve seen students learn in some pretty amazing places; taking part in once-in-a-lifetime experiences that add to their overall education in ways that never could be accomplished in a traditional classroom or online class. To encourage and spread enthusiasm for PBE we partnered with Oregon Connections Academy and South Carolina Connections Academy to launch #OutsideSchoolWalls, a celebration of learning beyond the classroom. Here are just two examples of students following their interests and embracing a unique educational journey. In South Carolina, Beth Purcell, the mother of a recent South Carolina Connections Academy graduate recently shared the ways her daughter was able to learn #OutsideSchoolWalls through experiences inspired by her marine science class. In her local newspaper, Beth wrote, “The way I see it, there is nothing like learning by experiencing!” and noted that her marine science class and trip to the Charleston Aquarium inspired her daughter Cassidy to not only take care of her own aquarium at home, but save up funds to “adopt” a sea otter through a symbolic adoption program. Here are some additional examples from the campaign that capture all the ways students can learn by exploring their communities. PBE can foster a deeper understanding and passion for a topic. This passion and thirst for knowledge prepares children for success in life, with a healthy curiosity and desire to learn in new ways. At the virtual schools we support, students learn #OutsideSchoolWalls all year round, and in doing so, have many opportunities for enriched learning that may not be found inside a classroom or textbook. I’d like to encourage you to share how you learn #OutsideSchoolWalls on social media – I’d love to see the different ways your family takes learning outside of the classroom! To learn more, check out our Oregon Connections Academy and South Carolina Connections Academy #OutsideSchoolWalls websites. Steven Guttentag, is co-founder and president of Connections Education. Follow him on Twitter at @stevenguttentag. Definitely a great way to apply learning to the real world! I can’t wait to check out the hashtag in Twitter and Instagram. Earlier children used to play outdoor games a lot and they were mentally as well as physically strong. Technology has made our life easy but we are now much dependent on it. Nowadays children mostly play on computers rather than playing outside, which is indirectly affecting their physical health. Visuals and real objects are more beneficial in learning.